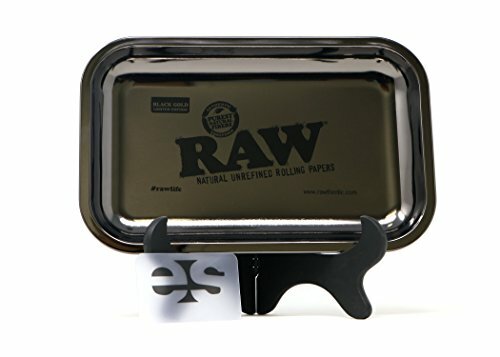 LIMITED EDITION | This rolling tray by RAW is far from ordinary! With a metallic black finish, this rolling tray comes in two sizes. This Black Gold Plated metal tray measures in at 12x8 inches giving you the perfect amount of space for rolling your papers. These classy trays have the iconic RAW logo printed on the front to show off your RAW love and style and are a perfect collector's piece to have for anyone who lives the RAW lifestyle! Only available for a limited time.